The highest court in Michigan will weigh in on medical cannabis by reviewing a case that has battered the state’s MMJ industry, providing a glimmer of hope for marijuana advocates who want a previous ruling overturned. 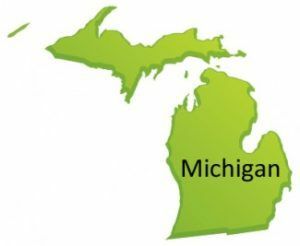 The Michigan Supreme Court plans to examine a recent appeals court decision that essentially outlaws the sale of medical marijuana at dispensaries. At issue is whether individuals and storefront medical marijuana dispensaries can sell cannabis to registered patients under the state’s 2008 MMJ law. If the Supreme Court overturns the appeals court’s decision, the medical marijuana industry in Michigan could come roaring back to life, restoring the state’s status as an MMJ powerhouse. On the other hand, a ruling that affirms the previous decision could be the final nail in the coffin for marijuana dispensaries in the state. Many cities and counties forced medical cannabis centers to shut down last fall, using the appeals court decision as justification. Although some communities have allowed dispensaries to remain open, the MMJ industry is now a shadow of its former self: Hundreds closed down in the wake of the ruling, and only six or seven dozen remain, according to MMJ Business Daily’s estimates. Michigan Attorney General Bill Schuette has been leading the charge against medical marijuana in the state, saying it has been “hijacked” by people who are abusing the law and simply want to clear the way for the legalization of cannabis for general use. In light of the recent turmoil and confusion, lawmakers are considering several proposals to tighten and clarify the state’s MMJ regulations.